At first marketers were worrying that their marketing messages were being overlooked by being placed in this “different” inbox. And their worries made sense. The change gave rise to a wave of campaigns asking users to manually “move” their marketing emails from Gmail’s Promotions tab to the Primary Inbox. Whitelist them, in some way. Data and studies, however, show a different story. I’m going to extensively quote a study from the guys over Return Path. You should definitely take a look at their findings yourself if you’re interested. Those “Move Me” campaigns failed to stir people to actually “move”, or whitelist marketing emails. 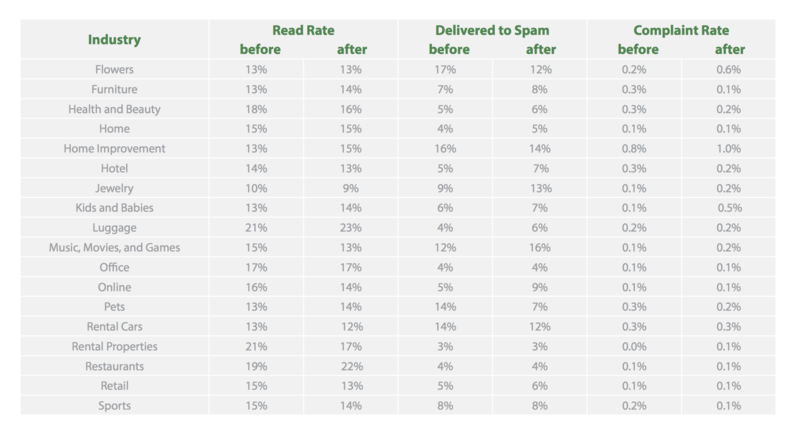 Less than 0.1% of those who had received the “Move Me” campaigns had subsequent messages sent to them land in the Primary inbox. 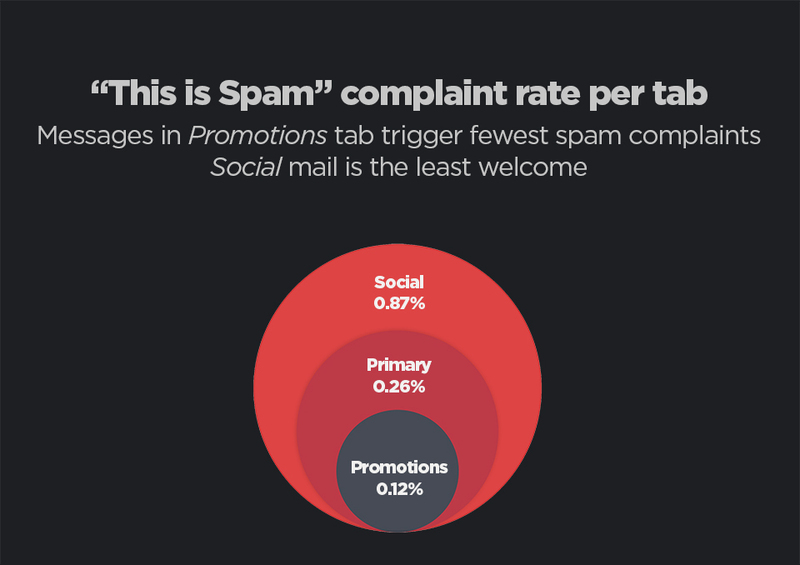 Having marketing emails in their own inbox changed the way users think about Spam. Gmail developed a new type of user behaviour where people would actively search their Promotions inbox for new offers and shopping ideas. But most surprising of all, open rates remained roughly the same. OK, but still — how do I avoid Gmail’s Promotions tab completely? There’ll always be times when important messages need to land in the Primary inbox and not in Gmail’s promotions tab. If you still want to avoid the categorization filter there are a few tricks you should try. These authentications mechanisms are used by most email providers to prevent SPAM and spoofing. If you’re sending emails using Amazon SES, I’ve written a detailed guide on how to set them up. Mailchimp and other newsletter services have their own configurations and you should refer to their documentation. Don’t send emails from noreply or unmonitored addresses. Instead, ask users to write back and engage with you. This will automatically add you in their contact list and whitelist you. Being in the whitelist automatically moves your messages from Gmail’s Promotions tab to their primary inbox. Which brings me to the next point. If you absolutely want to land in people’s primary inbox, write your message the same way you’d write it to any other real person (colleague, family member, customer). Write in full, properly formed paragraphs. Start with a greeting and end with your name. Conversational style, not promotional. Including the recipients full name somewhere in the message sometimes helps. Don’t have more than 1 link. If you really want to use one, make it count and use it for your click-to-action. Skip full-blown HTML with backgrounds and images. Use plain-text if possible, otherwise try a simple format. Little to no images. In the end, good content will always get attention. Don’t waste time circumventing Gmail’s filters. Instead, use that time to step up your game. If you know any other tricks to avoid landing in Gmail’s Promotions tab, please let me know at me@dimis.me. Thanks!